So this includes one of my purchases from a longgg list! 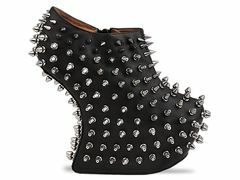 I've always wanted heel-less shoes since I lay eyes on those beautiful Jeffrey Campbell's. Onto my next new buy. A palm tree bag from Urban Outfitters! It's become my favourite shop recently with all of its vintage shirts and great sale stock. I nabbed this pretty for only £17! Next are my River Island splurges. I bought a headband which seem to be pretty major at the moment. I love the whole hippy look so thought it would compliment my new skirt and black crop top nicely. Obviously more shoes were need. I bought these Flatforms from River Island for £20! I had been eyeing them up for a while so jumped at the cheaper price! And finally, I bought several dresses but this one in particular is my favourite. I love the whole scenery photo on a dress. As this is a midi dress, I'll team it with creepers, socks and my leather jacket. So once again, thanks for reading and stayed tuned!